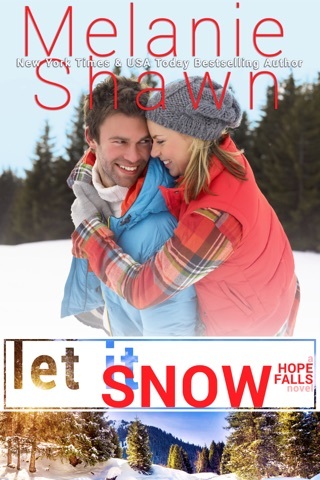 Stand-alone Crossroads romance, complete with HEA--and plenty of heat and heart along the way! Bailey Rossum was living out a bad country song. After being stood up and having her pickup truck break down, Bailey found herself walking barefoot in a ball gown down a back road. And when her sexier-than-sin ex rides up on his steel horse Bon Jovi style to rescue her, she knows she has to accept his help even if it means breaking her heart all over again. Josh Scott had no interest in being anyone’s hero. After finding the only woman he’d ever loved stranded on the side of the road, Josh knew that he had to do the right thing. And when his headlight shone on long silky, blonde hair, huge doe eyes, and the most perfect set of lips ever created he knew his already shattered heart was in serious trouble. To live in the present, Josh and Bailey have to face their past. 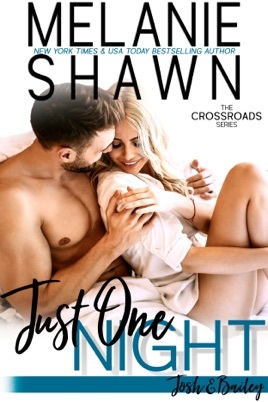 If they do they just might have a future…and it all starts with just one night. Just one night is such a great read. Talk about second chances. I loved the dynamic between Josh and Bailey. They had to go through the struggles of life to find their new normal. The story telling is awesome and the characters are well thought out. I loved how characters from previous books in the series show up. Awesome 5 star read! Hooray for Melanie and Shawna coming back to the Crossroads Series! This is a series that I could literally read forever so I hope that new characters just keep popping up who need a magical HEA. Bailey and Josh have been in love since they were teenagers. 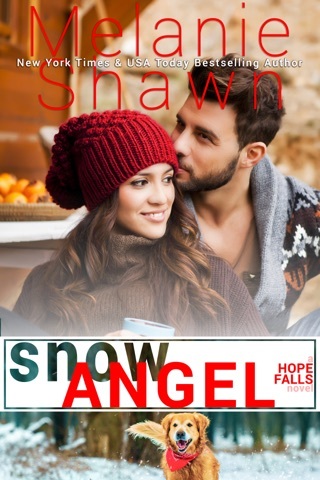 They have never stopped loving each other but life, as it often does, pushes them in different directions until on fateful night when Bailey’s car breaks down and Josh, being the gentleman that he is, picks her up. This chance encounter might be just what these two need to relight the flame that has never really gone out between them. This was a really beautiful book about second chances and the reality of making tough life decisions and most importantly doing the best you can every day. I loved Bailey and Josh and you will two. Their love story will pull on your heart strings. This will be a book that you finish quickly but stays with you for many days after you read the last page. I’ve had the day to think and stew about how to write this review, and the first thing I want to say is tissues. I suggest lots and lots of tissues if you are an emotional reader. I may have just had an emotional day when I was reading it, but wow! I fell in love with Josh and Bailey. While Josh tried to resist, their chemistry was off the charts and it was only a matter of time before they were falling back in love. There were a few twists and turns in the story that had me crying happy tears for multiple characters. I don’t want to give much away, but this story was beautifully written and will have you smiling through the tears that may fall. A phenomenal must read that I would guarantee! !